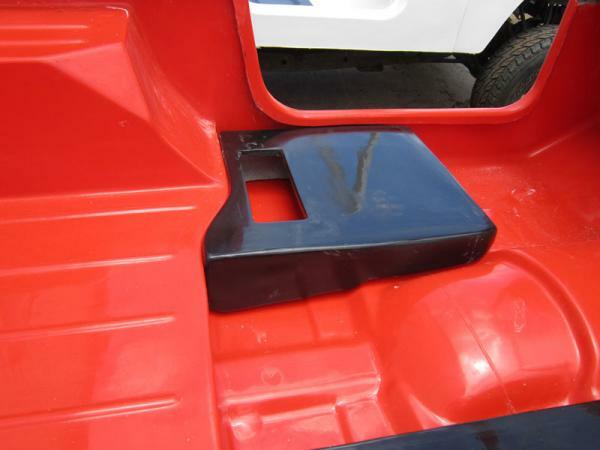 We manufacture a universal seat mounting box for the Jeep Wrangler YJ, CJ7, and our fiberglass replacement bodies. These boxes come in left and right mount units. They are steel reinforced for easy and strong mounting of almost any seat that would suit your Jeep. The seat mounting boxes are split into two compartments inside, a small glove compartment with front entry and a larger cavity for recovery equipment with top rear entry.